Without foreign-trained doctors, most Canadian provinces lack the medical manpower to adequately service the community. Saskatchewan relies heavily on international medical graduates (IMGs). 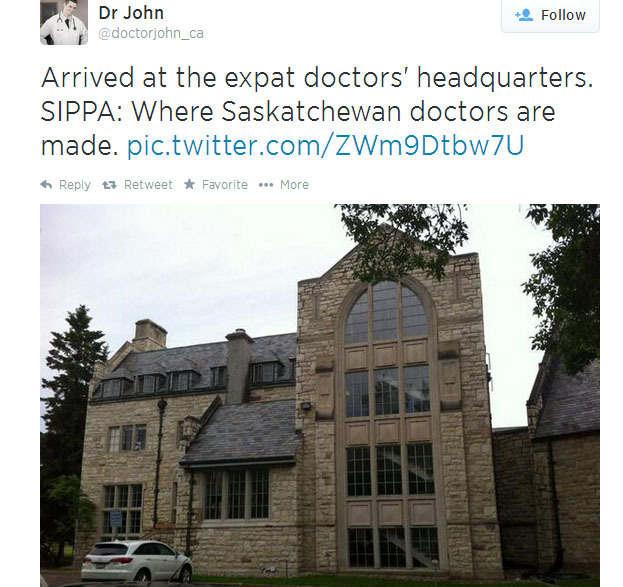 Approximately half of physicians in Saskatchewan–and more than 60% of rural physicians–are IMGs. In order to apply for a licence to practice in Saskatchewan, a foreign doctor needs to have graduated from an approved medical school; possess sufficient, relevant, and recent postgraduate experience; and pass a preliminary exam. After all of the above have been satisfied, applicants undergo orientation in Saskatoon, while challenging three rigorous exams and–if successful–proceed to a clinical field assessment. The clinical field assessment is six or twelve weeks of scrutiny under the direct supervision of a trained physician assessor. Thereafter, the IMG will still have to pass two further daunting examinations offered twice per year by the medical regulatory authority of Canada. The battery of exams are designed to test the cognitive, communicative, and procedural skills required to demonstrate competence in the practice of medicine in Canada. From January 2011 to April 2014, fifty-two foreign trained doctors have run the gauntlet and completed the process; achieving licensure to practice medicine in Saskatchewan. I was among the first to do so and now have the honour to act as an assessor of peers who embark on the same journey. In the future, when visiting our clinic, you may be given the option of seeing a foreign-trained doctor in his/her field assessment. I hope you will be willing to support this process so that we can continue to recruit the best medical talent from around the globe, and fill the gaps in provincial health care delivery.